Rabat International Airport (IATA code: RBA), also known as Salé international airport, is the entry point for all the passengers traveling directly to the capital of Morocco or elsewhere in the Region Rabat-Salé-Zemmour-Zaer. The Rabat-Salé International Airport has two terminals, one of which is reserved for the Hajj, with a size of 16,000 m², with a capacity of 1, 5 million passengers per year. Rabat International Airport is located about 8 km northeast of the administrative capital Rabat on the road to Meknes, and 90 km of the Moroccan economic capital Casablanca, the terminal consists of a civil part and a military part. Rabat-Salé International Airport is served by 9 airlines, it is the main center of activity of the national airline Royal Air Morocco, and also hosts several Air France flights and other low-cost airlines flights. Other companies represented at the airport of Rabat Salé are Ryanair, Aigle Azur, JetairFly, Saudia, Iberia, Air Nostrum and Buraq Air. Rabat-Sale airport’s progressive attendance in January 2012 led to the inauguration of a new boarding terminal and the closure of the old premises. The new terminal has been equipped with advanced technologies to meet international safety requirements, quality of service and security, and refined architectural spaces for passenger management ease. The new buildings, more functional and spacious, are intended to the image of Morocco that is making great strides in modernity and opens its arms to international tourists. The public part of the terminal contains several exchange offices, a post office, banks and ATMs. The departure area is well-stocked: a coffee bar respecting the local style, several duty-free shops offering items like souvenirs, clothing, sporting goods and various traditional gourmet products. There is also a zone dedicated to smokers located in the waiting area of the departing flights. 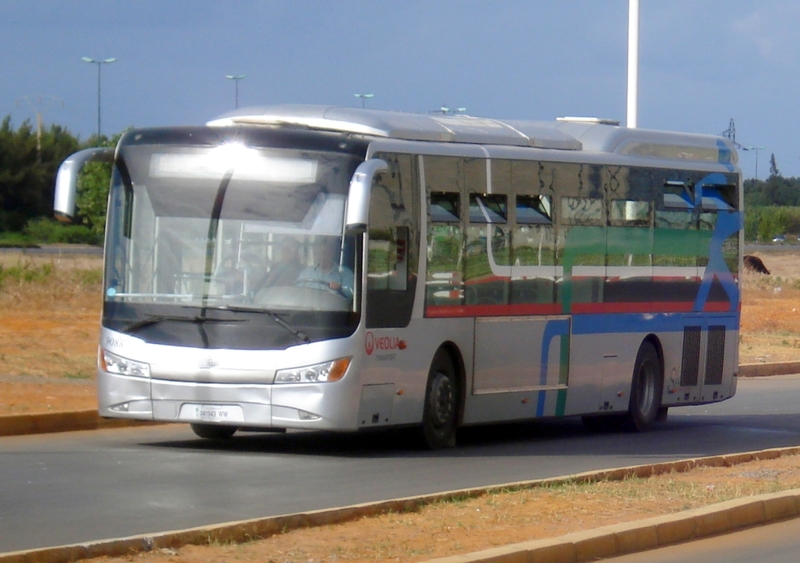 Different shuttles exist from downtown to Rabat-Salé international airport. Grand taxis (white cabs) are available round the clock, 7 days a week, the price is between 100 dirhams and 150 dirhams per person (13 euros). The trip takes 25 minutes. Rabat International Airport has recently acquired a new shuttle service from the airport to downtown Rabat, now there is a bus from the Rabat-Ville train station to the airport and the way around, the trip is for only 20 dirhams per person (about 2 euros). The bus is available outside the terminal and it has only one stop: Rabat-Ville Train Station. The trip takes about 30 minutes. The shuttle is scheduled according to the flights: It leaves the airport 1 hour after the flight arrives, and leave the station of Rabat-Ville 2 hours before the flight departure. Note: the bus does not operate on Sundays. Plan your trip to Morocco by booking your rental car online today and quickly collect the keys to your rental vehicle on site upon arrival at the Rabat-Salé international airport. Note that with Abid Cars, delivery and return of the rental car at the airport or your hotel is completely FREE between 8:00 and 20:00. Rent a car in Rabat and enjoy your Moroccan adventure!